On Friday (December 22) in the second match of the three T-20 series, Sri Lanka has decided to bowl first after winning the toss against India. At present, on behalf of India, Rohit Sharma and KL Rahul are present on the crease. Team India defeated Sri Lanka by 93 runs in the first T-20 match played in Cuttack, taking 1-0 lead in the series. There is no change in the last eleven of India for this match. There have been two changes in Sri Lanka's last XI. In place of Dasun Shanaka and Vishwa Fernando, Sadeera Samarawickrama and Chaturanga de Silva have been included. Indian cricket team defeated Sri Lanka by 93 runs in the first T-20 match at the Barabati Stadium on Wednesday. With this, India has taken a 1-0 lead in the series of three T-20 matches. India had set a target of 181 for a win against Sri Lanka. The Sri Lankan team continued to lose wickets and was stuck at 87 runs in 16 overs. 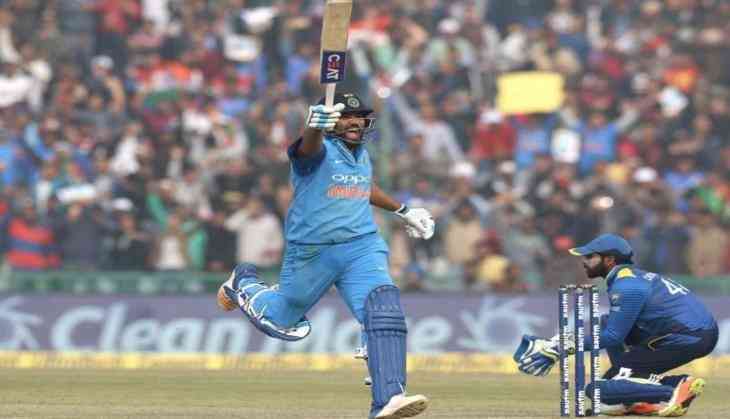 India: Rohit Sharma (C), KL Rahul, Shreyas Iyer, Manish Pandey, Dinesh Karthik, MS Dhoni, Hardik Pandya, Washington Sundar, Yuzvendra Chahal, Kuldeep Yadav, Deepak Hooda, Jasprit Bumrah, Mohammad Siraj, Basil Thampi and Jaydev Unadkat. Sri Lanka: Thisara Perera(C), Upul Tharanga, Angelo Mathews, Kusal Janith Perera, Danushka Gunathilaka, Niroshan Dickwella, Asela Gunaratne, Sadeera Samarawickrama, Dasun Shanaka, Chaturanga de Silva, Sachith Pathirana, Dananjaya De Silva, Nuwan Pradeep, Vishwa Fernando and Dusmantha Chameera.